What Type of Pet ID Do Your Pets Need? Have you ever found yourself wondering what type of pet ID your pets need? With the weather getting warmer and our pets and their humans outside more, we have a timely reminder about putting ID on your pets. 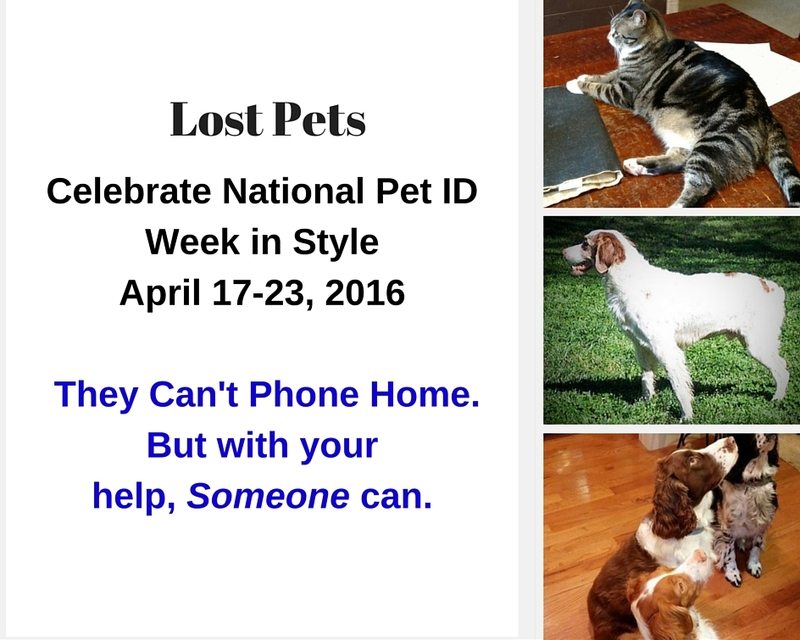 After all, April 10-17 is National Pet ID Week. 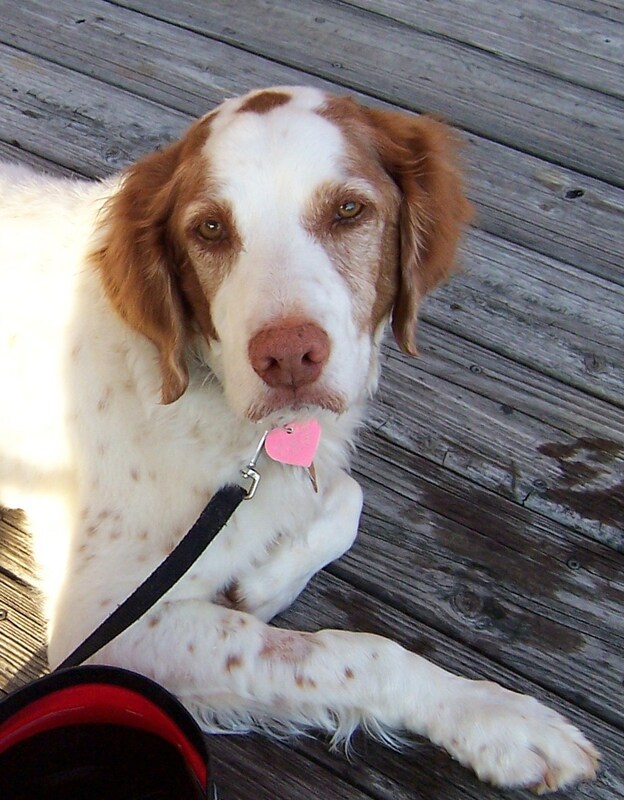 There are numerous types of Pet ID that you dog or cat can wear on his collar. Here are just a few. You can go the “just the facts maam” route or you can dress up your pet’s ID with cute bone shapes or paw prints. You pet’s ID can be colorful or just in black. The choice is entirely up to you. The important point is to be sure that your contact information is on your pet’s ID. It’s advisable to provide your home and cell phone numbers. It’s up to you about providing your address. We only provide the name of the town we live in along with our pet’s name, our last name, one cell number and one home number. If we are traveling with our dogs we can be reached by the cell number. But for added insurance some folks also purchase a temporary ID tag that indicates where they are staying when out of town or provides the name of a trusted friend or neighbor. As professional pet sitters, some of our clients use a temporary ID tag that provides our contact information. Either way, this readily visible information provides the quickest way for your lost cat or dog to find his way home. When your pet is wearing a collar it’s also much easier for someone who finds her to grab your frightened pet before she escapes fro her would be rescuer. A study conducted by the American Society for the Prevention of Cruelty to Animals (ASPCA) and published in 2012 provided interesting information indicating that far fewer of the animals that end up in shelters belong to someone who is looking for them than was previously believed. 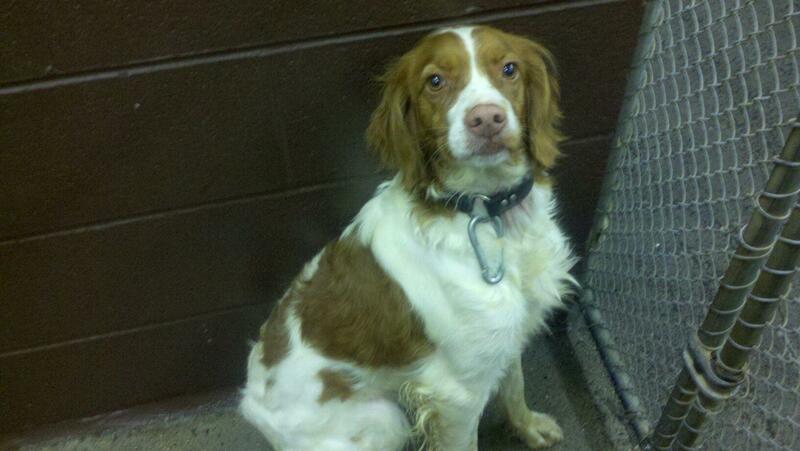 However, 15% of the dogs that were reunited were wearing a collar with ID or were micro chipped. 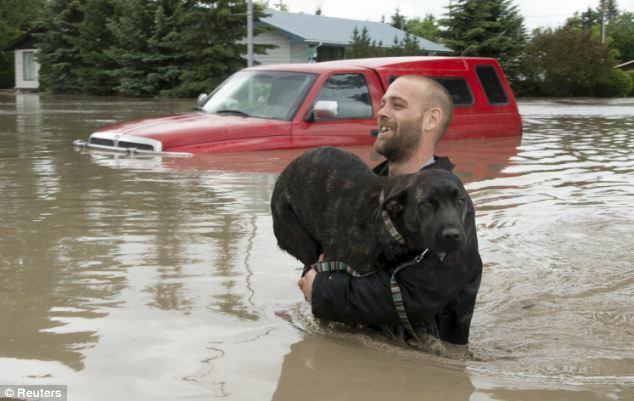 The good news is that 93% of lost dogs and 74% of lost cats were recovered. We strongly advocate that you also have your vet implant a small micro-chip in your cat or dog. All too often pets, especially cats, escape the house without a collar. Pets can wriggle out of their collars and unscrupulous people can steal pets and then present them as their own. 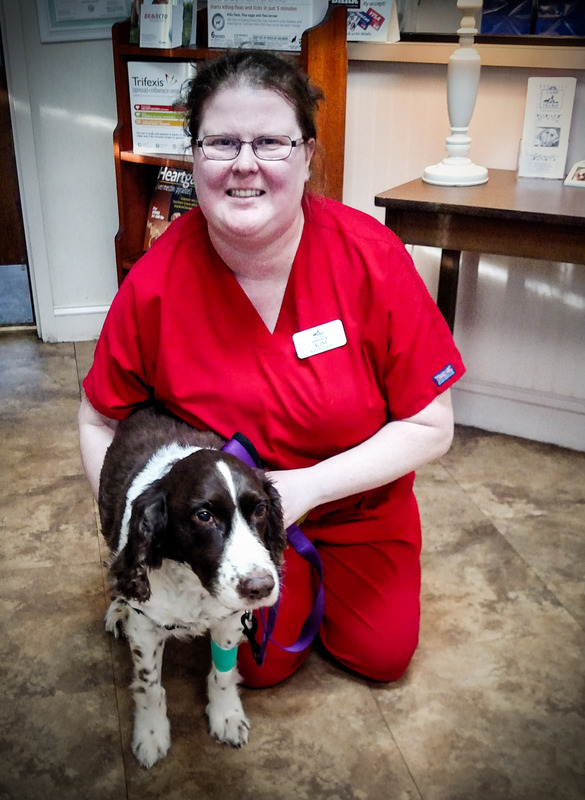 Virtually all veterinarian clinics have micro-chip readers and most shelters do too. Our veterinarian practices a great safety check. When we first presented with either of our two adopted dogs, the clinic scanned the chip to assure it was indeed registered to us. This is important because people do steal pets. There are several micro-chip companies available. Here are a few. No matter which company you choose, please be sure to keep your information updated. When your pet adoption is final, contact the microchip company and be certain the registration has changed over to your name. If you move or get a new phone number be sure to contact the chip company and any registration services you use and update the information. If your pet ever goes missing you will be glad he was wearing a collar with ID and had an up to date microchip! Just do it. 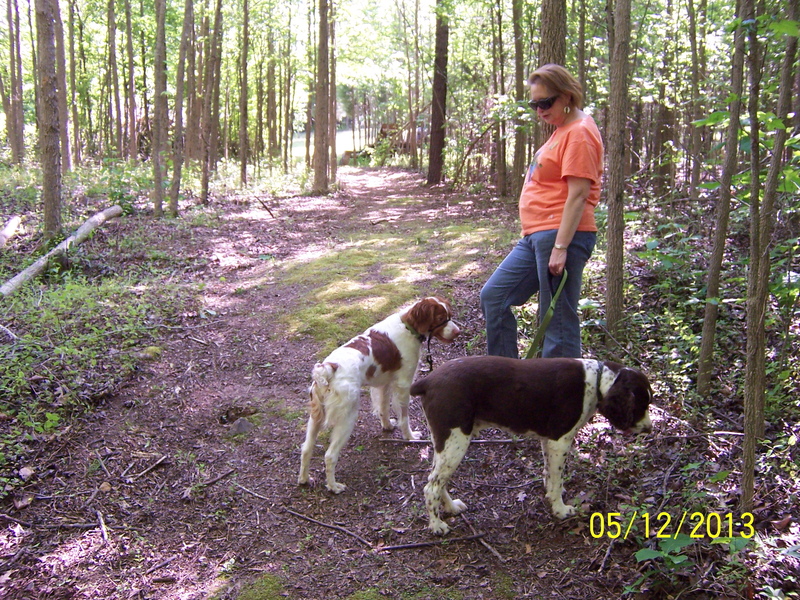 Beth Leatherman Harwell and her husband Billy Harwell own and operate a small pet sitting business, Dog Walkers & More at Coddle Creek, LLC. 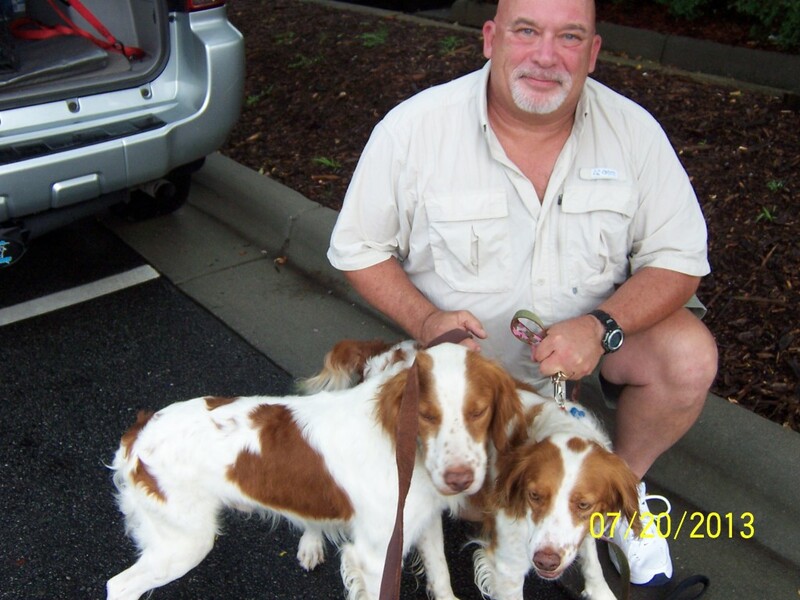 Along with a professionally trained group of team members, they provide pet sitting and dog walking services to pets who live in any part of Mooresville, NC 28115 and those who live in near by areas of Mooresville, NC 28117, Cornelius, Davidson and Mount Ulla, NC. Were you one of the many families who adopted a dog over the Christmas holidays? If so, congratulations on your new family member!! This is the ideal time to help your new family member learn good manners, become well socialized, and become a happy and healthy companion. There’s nothing like finding a good positive reinforcement dog trainer to help you achieve these worthy goals. 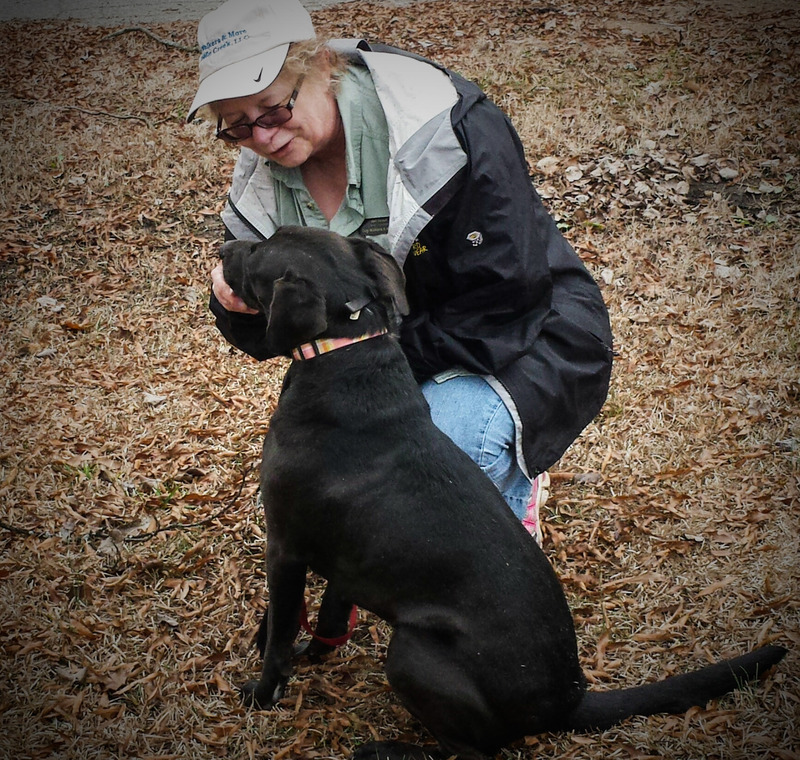 As professional pet sitters and dog walkers we encounter lots of dogs. Some are well trained, well socialized and a dream to care for. Others have not been crate trained, understand no cues (commands), jump up on people, and don’t walk well on leash. 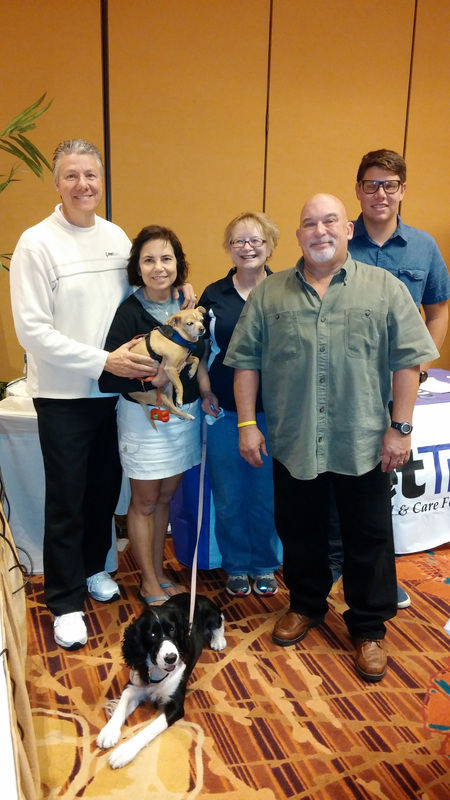 We do all we can to reinforce positive training and encourage the pet owners to seek professional guidance. It really works!! 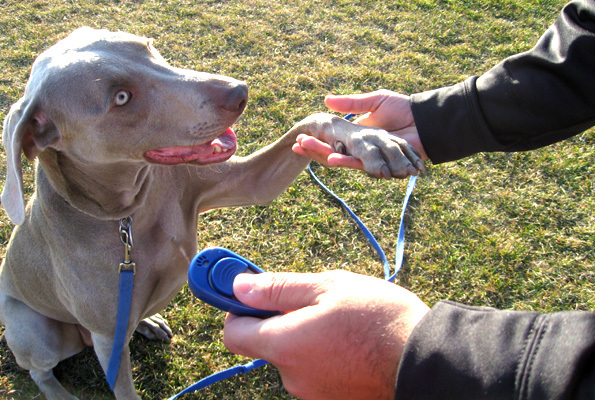 The Association of Professional Dog Trainers began the National Train Your Dog Month in 2010. The great tips offered are designed to make life easier for you and your dog. 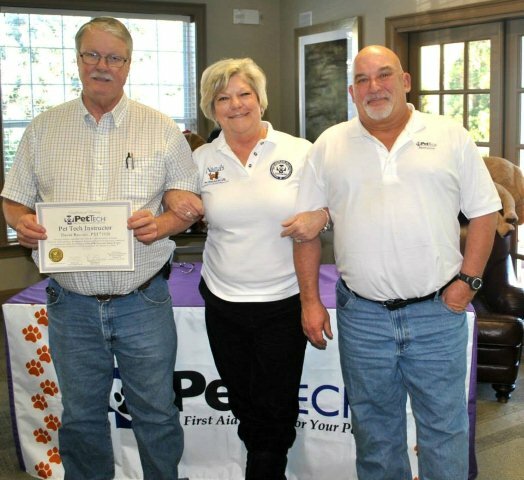 Because so many people acquire dogs over the holidays, the group chose January as a month to emphasize training in hopes of preventing lots of dogs being relinquished to shelters and rescue organizations. Training your dog builds a bond between you and helps assure your dog remains a loved family member. 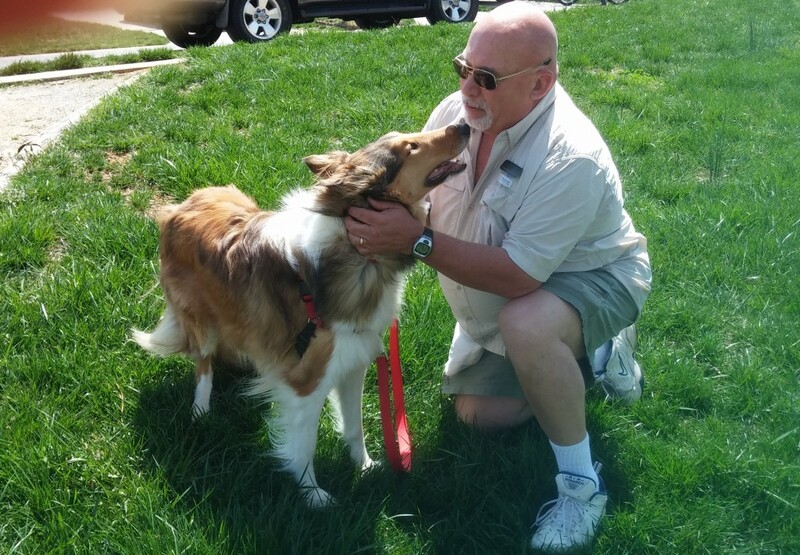 We encourage you to make training a part of your every day life with your dog. 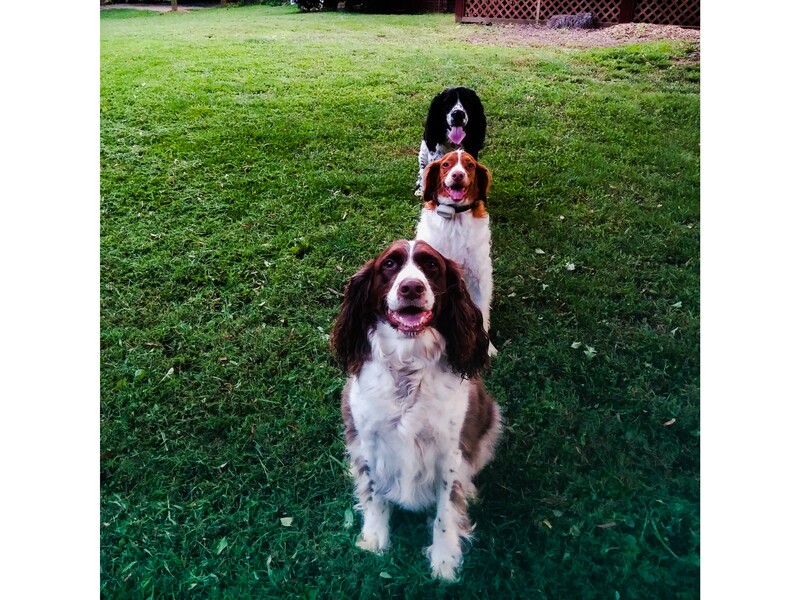 Visit the Doggy Care page of our website to learn about three local positive reinforcement dog trainers and to read a list of tools and books we recommend. Our goal is to help you help your dog and family become and remain a strong bonded family unit. 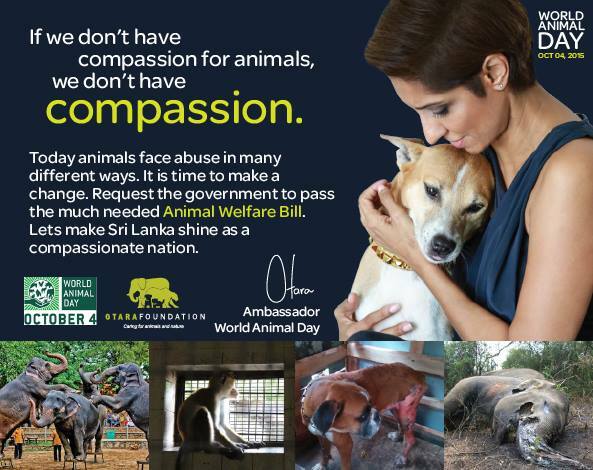 We strongly advocate pet adoption. To that end we support pet adoption by offering a discount to families who have adopted a pet for the first three months after the adoption takes place. If you live in our service area call us today to learn more. Help!! I Have a Lost Pet! It’s terrifying for your cat or dog to go missing. Your anxiety level goes sky high from the fear that he is seriously injured, run over or lost forever. 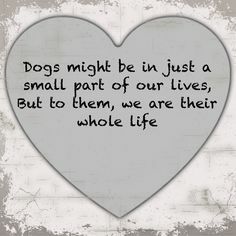 We hope you never experience the loss of a pet. To assure that your pet does not go missing we recommend your read our previous blog post. But for now, let’s take a look at how to find your lost pet. Fire up the grill with the most aromatic meat you can find. 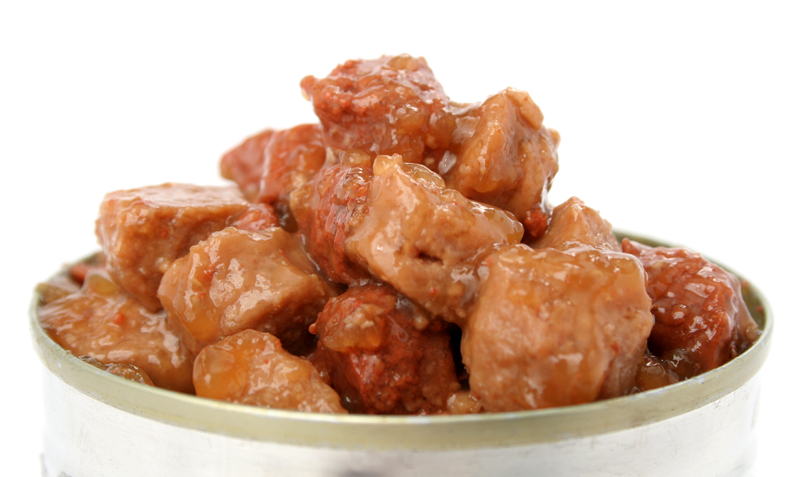 Dogs and cats have strong scent senses and are attracted to the aroma of delicious meat. Put a bowl of water on the front porch or walkway. They will get thirsty and will need to drink. 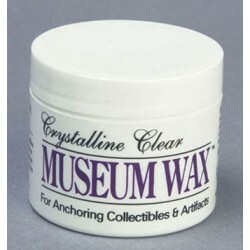 Place one of their beds and an article of your clothing with your scent on it on the front porch or on the walkway. Notify your microchip company and use the on line posters they provide. 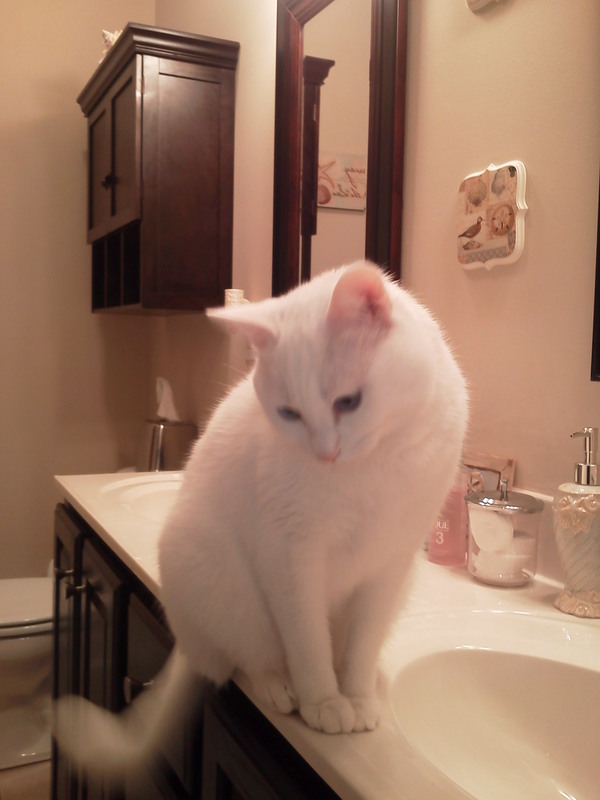 Upload a recent high resolution photo of your lost pet for the poster. You do have one in an easily located file in your computer, don’t you??? 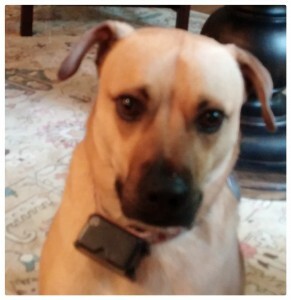 Most microchip companies will locate the folks who have registered as part of the network and who live approximately 25 miles from where your pet went missing. Walk and drive around your neighborhood and other nearby neighborhoods to look for your pet. 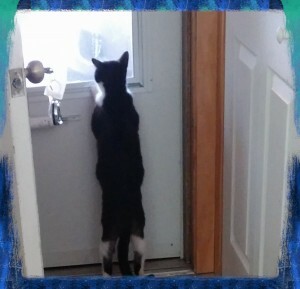 Go door to door to let neighbors know your pet is missing. Leave your contact information with them. 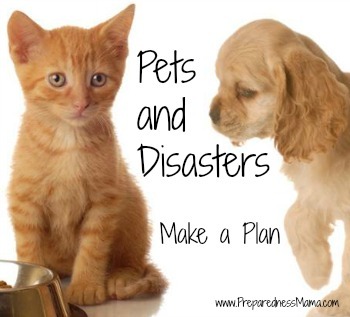 Ask permission to look in and under their out buildings as your pet may have sought shelter. 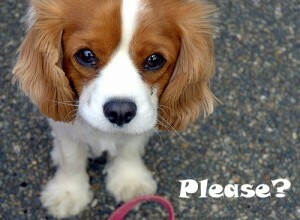 Print the “lost pet” posters with a high resolution photo and your phone number in a large font. Laminate the posters and place on light poles at intersections near where your pet went missing.Post the posters on FaceBook. 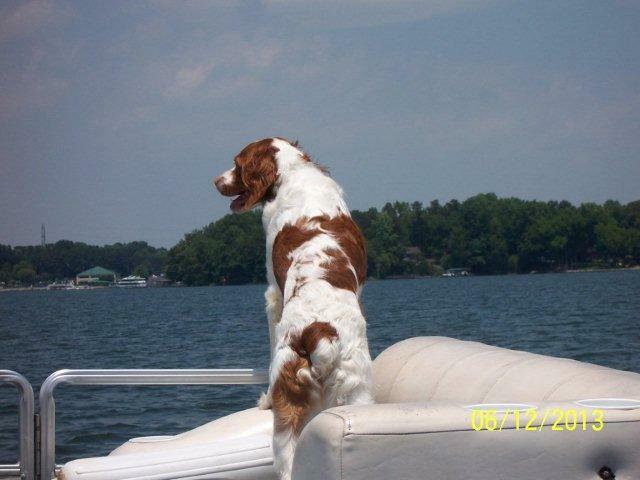 Several great pages include Lost and Found Dogs North Carolina, Mooresville Lost and Found Animals, Lost and Found LKN Pets, Lost and Found Pets of North Carolina, and Lost and Found Pets Iredell County. Join Nextdoor, a free private social network for your nearby neighborhoods. 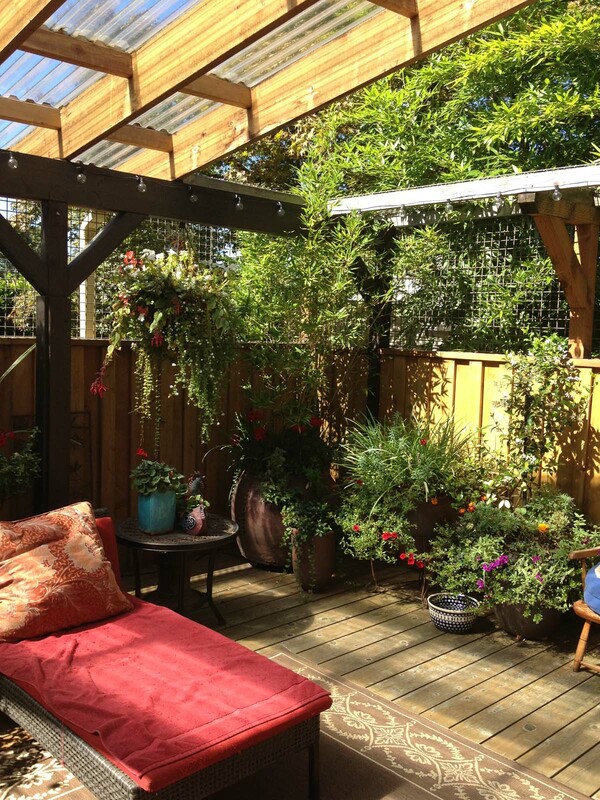 Posts on this network are categorized and we have found that neighbors are usually eager to help each other. We are in the Coddle Creek neighborhood and are able to connect with residents of nearby Curtis Pond, Kistler Mill, Franklin Grove, The Woodlands, Oaks on Main, Cherry Grove, Central Mooresville, Magnolia Street, Red Oaks, Linwood Farms, and Huntwyck Place. Often times people who find lost pets will take them to a veterinarian to check for a microchip and to get immediate necessary medical evaluation and treatment. 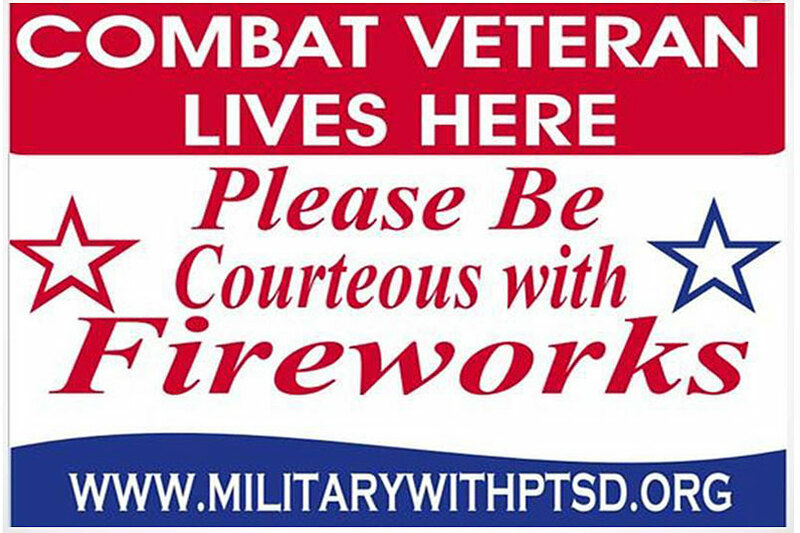 Start by contacting your own vet and then other vets in your area. Click to see a listing of LKN area veterinary services. Contact local rescue organizations and post on their social media sites. Send the photo of your lost pet along with identifying information to administrators of social media pages that have demonstrated a willingness to share about lost and found pets. Contact your pet’s groomer so she can be on the lookout for your lost pet. Remember that lost pets quickly become disoriented. It’s not uncommon for them to run from you. When you spot your lost pet resist the urge to move toward him. Move slowly and quietly to sit and allow your pet to come to you. 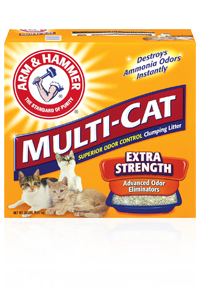 Treats are helpful and a can of wet cat food will send off a delicious aroma which will attract your hungry pet. Praise your pet and love on her. Make sure the return home is a totally happy experience. She has no idea how worried you have been. 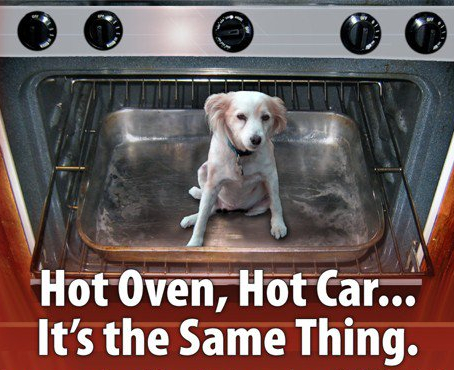 Pet Safety is important year round. 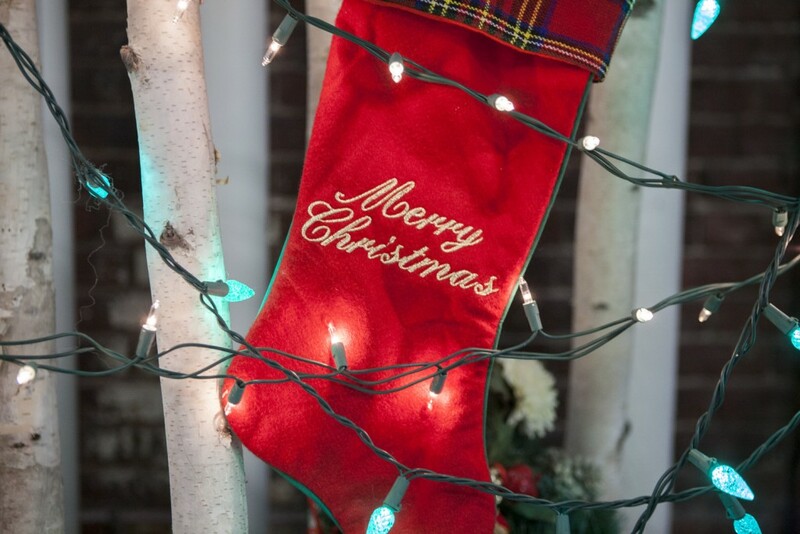 The extra decorations, rich foods and company in and out of the house make the holidays a time to be extra vigilant to keep your cats and dogs safe. 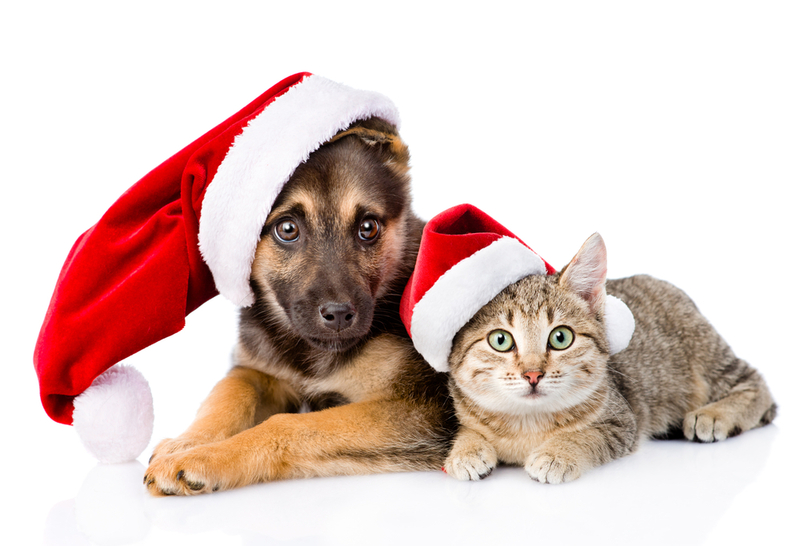 With that in mind we offer these seasonal tips to keep your cats and dogs safe during the holidays. We wish you a safe and joyous holiday season! 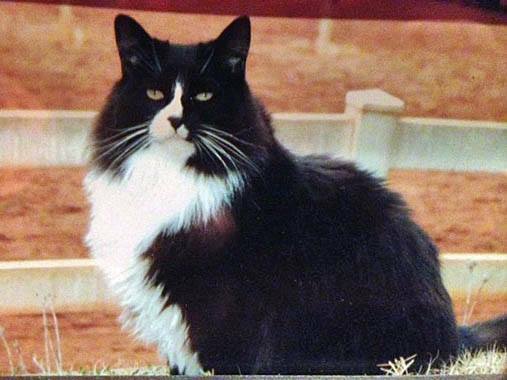 Just What is a Community or Feral Cat? How Does a Community or Feral Cat Differ from a Stray Cat? On their website Alley Cat Allies gives us detailed facts about the bullet points we have listed below. People are the cause of wildlife depletion. Is a cat who has either never had any contact with humans or her contact with humans has diminished over time. She is not socialized to people and survives on her own outdoors. Most feral cats are not likely to ever become lap cats or enjoy living indoors. Can have kittens who can be socialized at an early age and adopted into homes. Is a cat who has been socialized to people at some point in her life, but has left or lost her indoor home, as well as most human contact and dependence. Can become feral as her contact with humans dwindles. Can under the right circumstances become a pet cat once again. Stray cats that are re-introduced to a home after living outdoors may require a period of time to re-acclimate; they may be frightened and wary after spending time outside away from people. 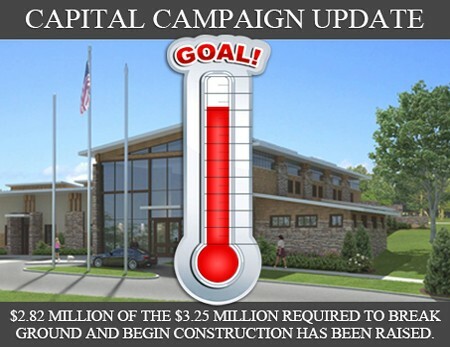 In the Lake Norman community we are very lucky to have the Lucky Cats Program. 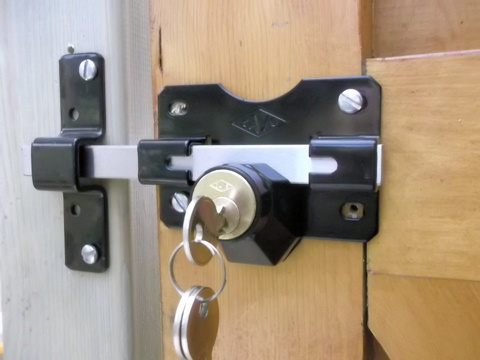 It assists community or feral cats as well as stray and pet cats. They operate a trap/spay/neuter/return program for community cats. 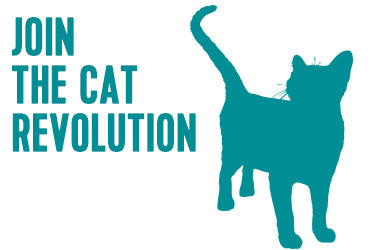 Additioally they offer low cost spay/neuter programs for owned and stray cats. Good quality, “in date”, canned and dry cat food. VOLUNTEERS! Volunteering is a work of heart. Thank you for sharing yours with the Lucky Cat Program. 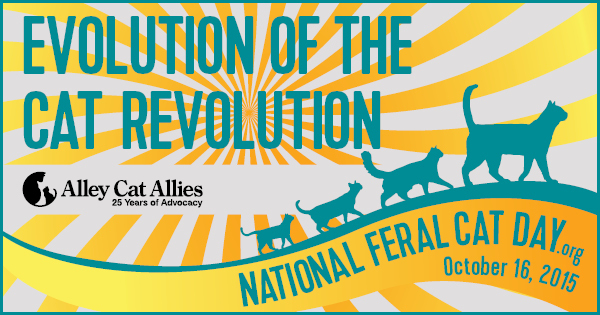 Becoming involved is a great way to celebrate National Feral Cat Day on October 16. 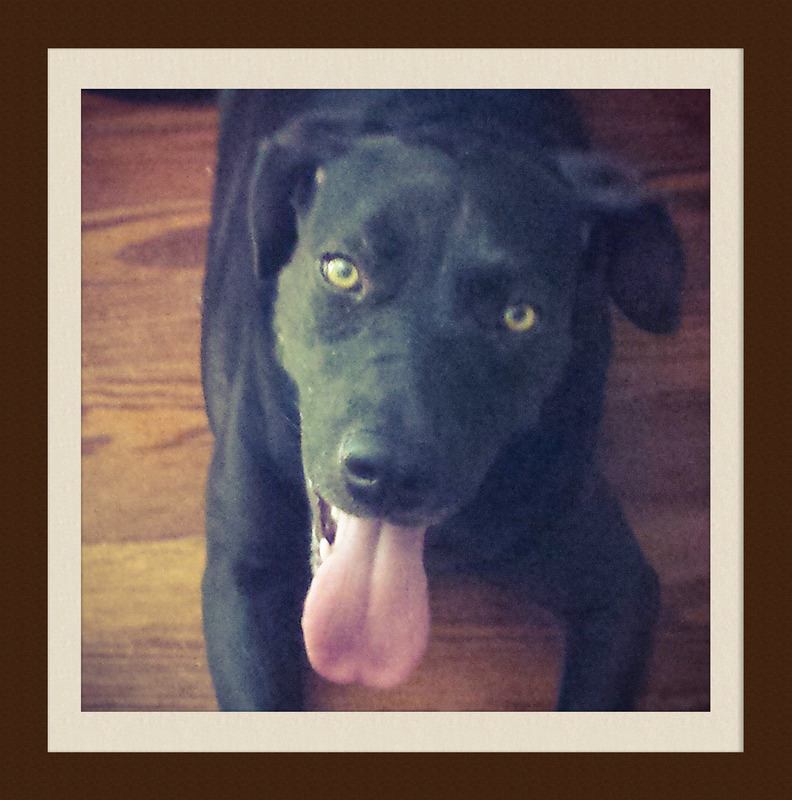 Heartworm Prevention or Heartworm Treatment: What Will It Be For Your Pets? 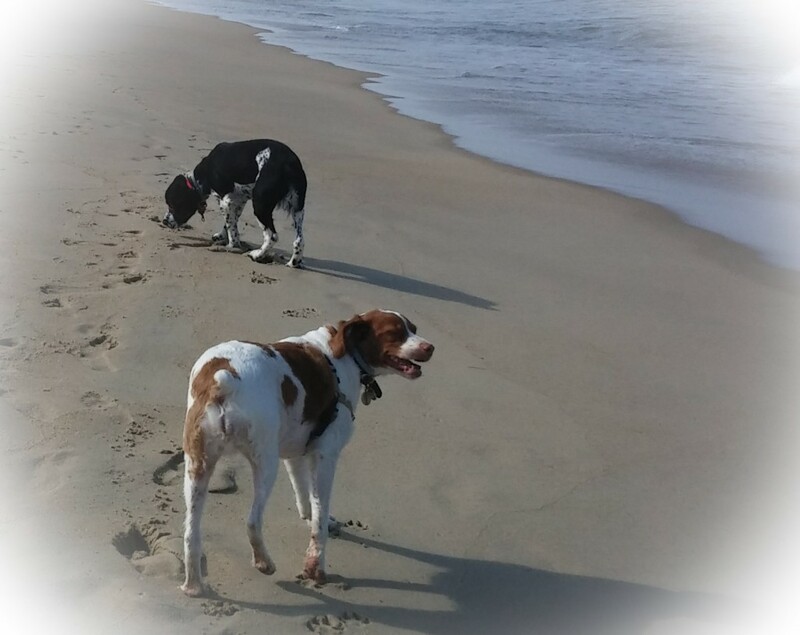 We confess to having only learned about heartworm disease approximately 10 years ago. Both of us grew up in an era and culture when pets were kept outside year round. Our families at least provided outside shelter and maybe brought pets into the basement or barn if the weather was extremely cold. But by and large we were of the belief that pets belonged outside. Our pets rarely visited a vet and that was primarily at a rabies vaccination clinic. Most of our pets died at a young age, usually from being hit by a car. 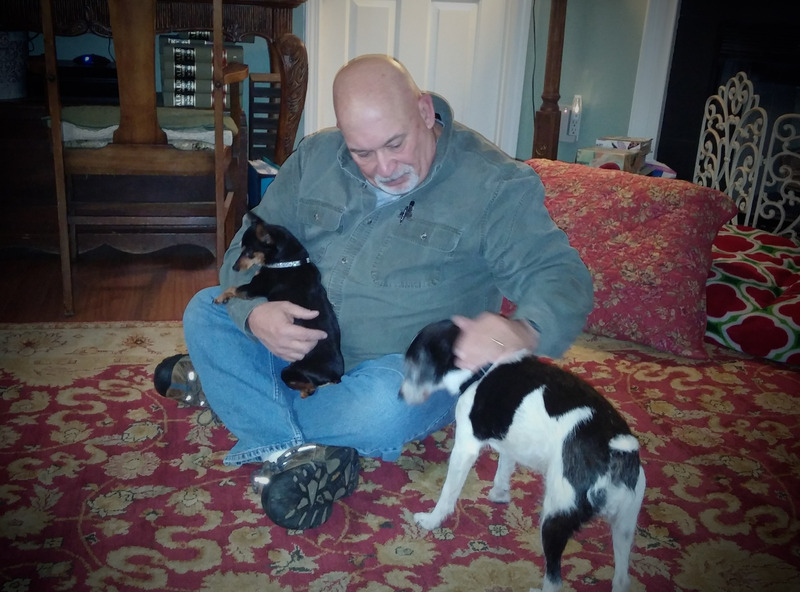 Knowing what we know now, I suspect the others died from complications of heartworm disease. We have forgiven ourselves, learned a great deal and moved forth. Lots of things in life have changed. Just as today we have flat screen TVs, computers, smart phones and cars with cruise control and electronic windows, things have improved for our pets. Now, out pets live indoors, have a fence containement system when outside, sleep on cushy beds, have toys other than sticks, see the vet on a regular basis, get a host of vaccinations, take dietary supplements, eat premium food and sometimes even go on vacation with us! Preventing heartworm disease is very simple. All it takes is a monthly pill. If your dog or cat will not take pills you can ask the vet to give your dog a heartworm preventative via injection that is only required every 6 months. 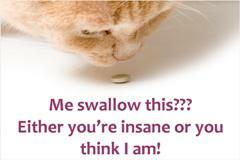 Your cat can be protected with a spot on treatment if she is difficult to pill. Pets in all fifity states are suscepticle to heartworm disease. The infected larvae is transmitted from one infected animal to another by mosquitos. There are over 22 types of mosquitos in the US and they are active at various times throughout the year. Depending on what brand of heartworm disease prevention you use, the cost for a six month supply can be as low as $35.00. 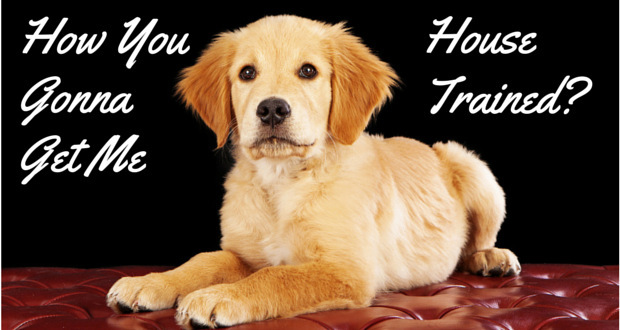 Treatment for heartworm disease in a dog varies from $500 to more than $1000. Financial cost alone is a significant issue. But more importantly we should note that there is no safe treatment for heartworm disease in cats. For dogs, the treatment regimen is difficult. There are three very painful injections given between the shoulder blades. During the 120 days of treatment your dog must be on strict confinement because activity increases bloodflow. When that happens the dead worms can cause blockages or blood clots leading to death. As many of you know, when we fostered Trooper he came to us HW+. 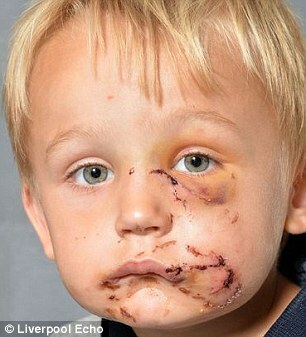 He was three years old at the time and was and remains such an active little joyful boy. But we had to keep him leashed when we took him outside. He wanted so badly to dig and we could not allow that. He and Daisy Mae wanted to run and play, but again we could not allow that. When we were in the house with all three dogs awake, Trooper had to remain in his crate or tethered to Billy or me to prevent overactivity. And of course, there were those very painful injections. It took a while after his treatment was over before Trooper could go to the vet’s office and not cringe. 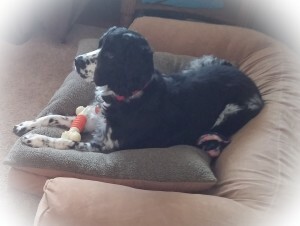 Because we fostered Trooper prior to adopting him, English Springer Rescue America (ESRA) paid for the financial costs of his treatment, but Trooper is the one who paid with pain and restricted activity. Fortunately, today he is a happy, energetic, active boy, but it could have been so easily prevented. How Easy is It to Pick Up the Dog Poop? Believe it or not, incredibly easy. So what brought about this post AKA rant? Last Wednesday afternoon Daisy Mae and I walked at Bellingham Park. Daisy Mae and I like walking there because the basic loop around the park is approximately a mile so we can pretty easily measure how far we walked. There’s a variety of plants for me to look at. For Daisy Mae there are lots of aromas to sniff and plenty of bunnies to stalk. There are two neighborhoods that connect directly to the park for added variety on our walks when we feel like walking longer distances. But when we walked last Wednesday, Daisy Mae also had lots more sniffing opportunities than usual. 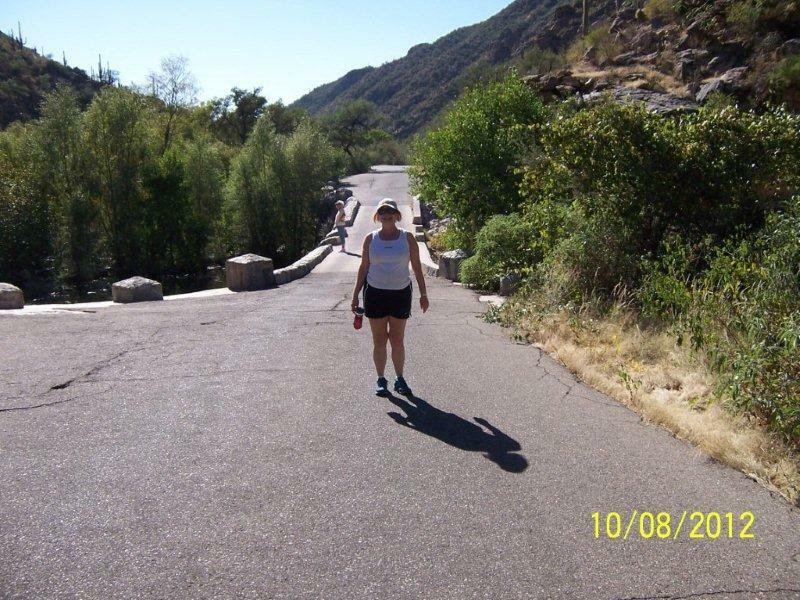 It seemed that every few feet we walked there were piles of dog poop on the side of the paved trail. 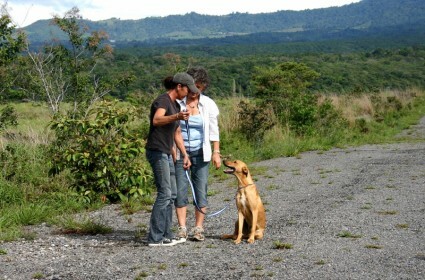 Certainly we were pleased the dog poop was not on the paved trail, but really folks it’s easy to pick up the dog poop! 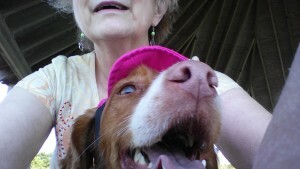 As professional pet sitters and dog walkers Billy and I always carry poop pick up bags. 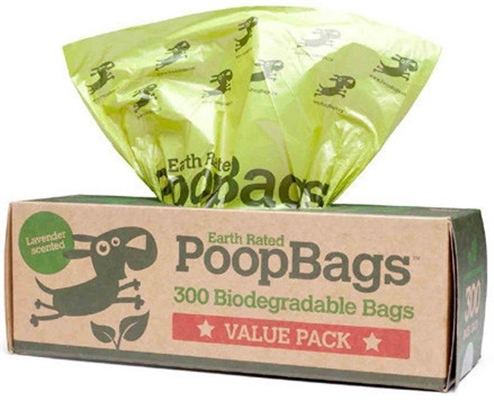 You would be amazed at the variety of bags: scented, biodegradable, printed, plain black. They come in cute little dog poop bag purses and there are little purses to put the full bags in till you find a trash can! At Bellingham Park there is even a dog poop bag dispenser. We frequently walk dogs at condominiums and apartment complexes too. 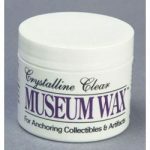 And amazingly, most of them have similar dispensers located at multiple places on the property. 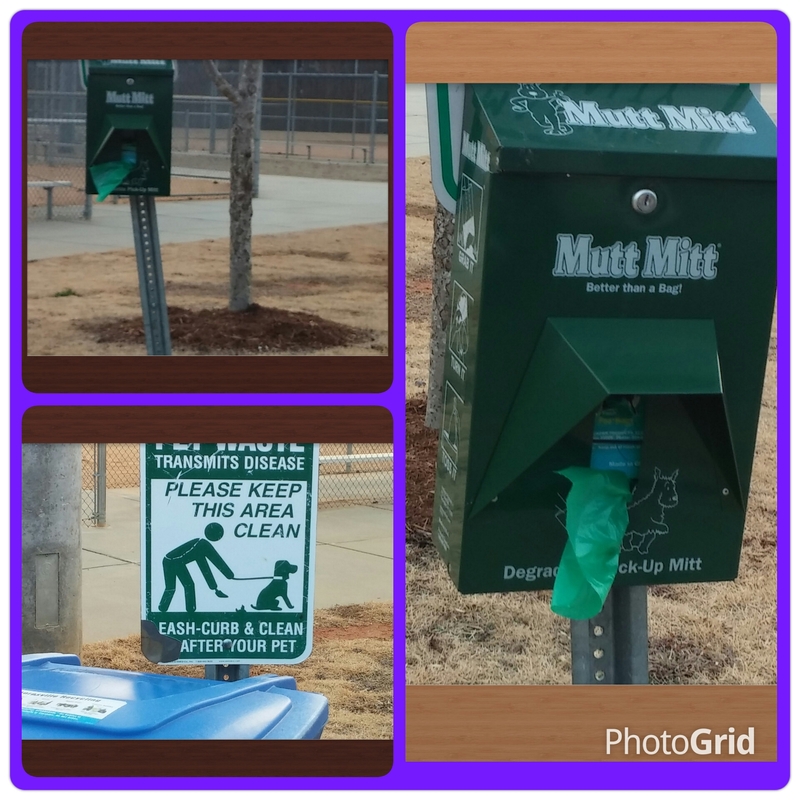 Those with dog parks even have dispensers mounted on the fences inside the dog parks. It never fails to amaze me to find dog poop on the AstroTurf inside the dog parks and in the grass within a foot of the poop bag dispensers and trash cans. You would think it wasn’t easy to pick up the dog poop. But it’s easy to pick up the dog poop. We aren’t certain if people are just gross or are uneducated. Being the eternal optimists, we choose to believe they are uneducated. So we are going to lay out a few facts about dog poop. Roundworms, E. coli, and Giardia are some of the parasites that can infect humans. 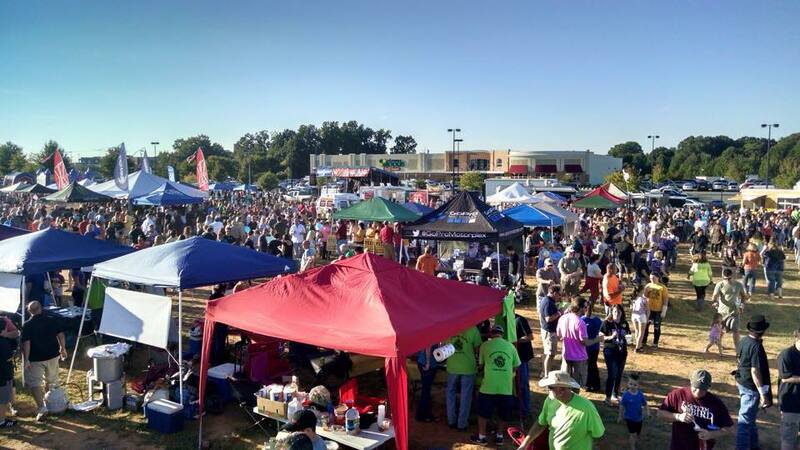 The infectious agents can last four years (Charlotte-Mecklenburg Storm Water Services). I don’t know about you, but for me that last fact seals the deal. Here’s hoping everyone will pick up the dog poop when out walking in public areas as well as in their own yards. Here is to you and yours in 2015. We hope you have a happy new year and that the start you get in January lasts all year long. We want to see at least one good snow for an opportunity to walk with our dogs through a winter wonderland. 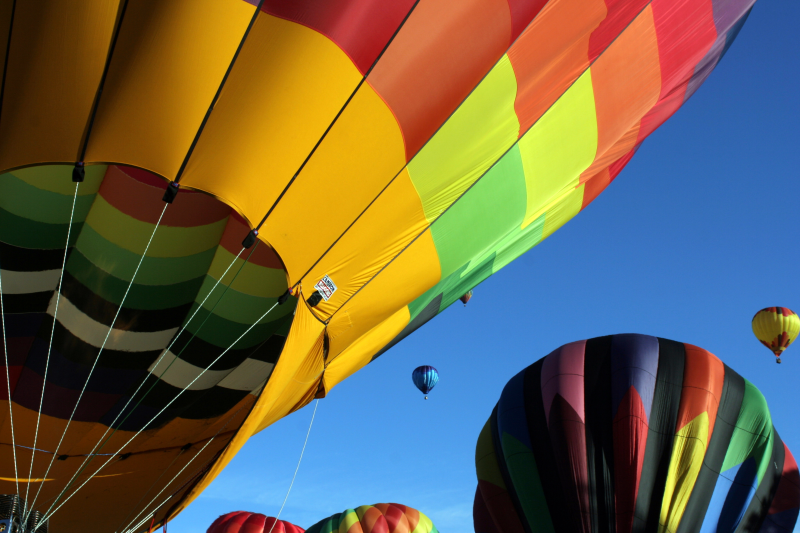 We trust all your hopes, dreams and wishes will come true. 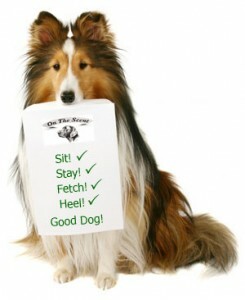 January is National Train Your Dog Month (http://www.trainyourdogmonth.com). To celebrate, Daisy Mae and Beth are looking forward to participating in a training course. We bet Beth is the one who will be trained! 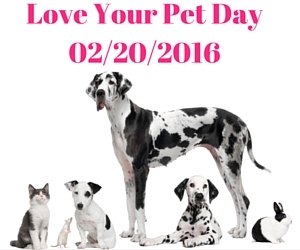 January is also National Walk Your Pet Month. 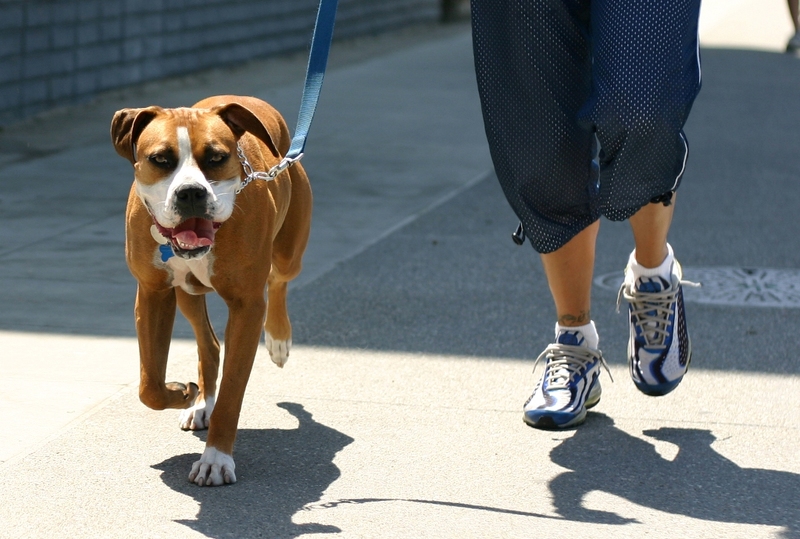 Do you walk your dog or cat on a regular basis? Yes, cats can be taught to walk on a leash, believe it or not. 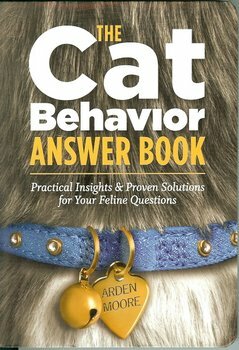 The ASPCA (https://www.aspca.org/pet-care/virtual-pet-behaviorist/cat-behavior/teaching-your-cat-walk-leash) has great tips for getting your cat accustomed to a harness and leash. You would be amazed at how well you can train a cat if done in a positive fashion. Have you considered acquiring a pet bird? 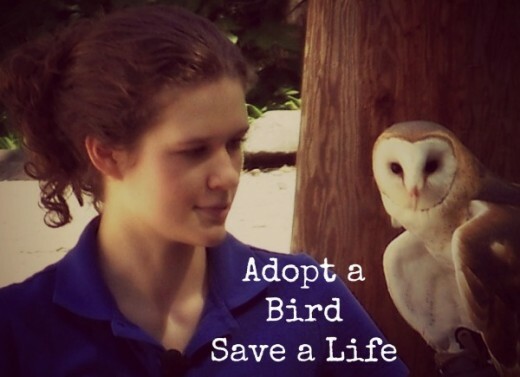 January is Adopt a Rescued Bird Month so there is no better time. A great place to start is Companion Parrots Re-homed (http://www.companionparrots.org/) in Pineville. Another wonderful place to learn about bird care is Parrot University (http://www.parrotu.com/) in Pineville. They even offer boarding for your parrot when you must go away. Please be sure to educate yourself on the intricacies of bird care and the issues facing captive birds (http://www.avianwelfare.org/links/organizations.htm). Here’s what else January offers. January 2 – National Pet Travel Safety Day; January 5 – National Bird Day; January 14 – National Dress Up Your Pet Day; January 16 – National Penguin Awareness Day; January 21 – Squirrel Appreciation Day (our dogs are ready for this one ); January 22 – National Answer Your Cat’s Question Day; January 24 – Change a Pet’s Life Day and January 29 – Seeing Eye Guide Dog Birthday. 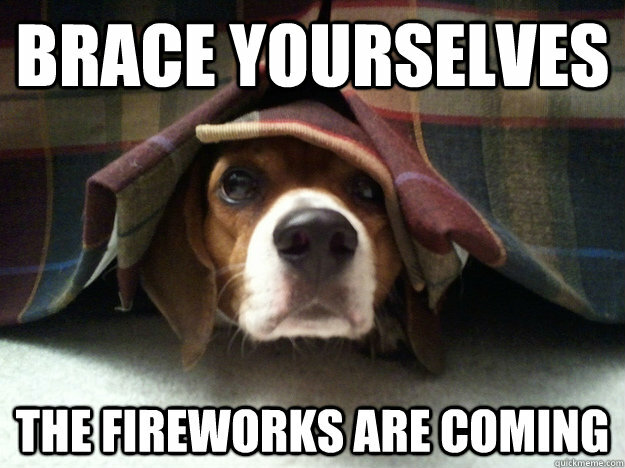 Happy New Year to you and your pet family. Yes, you know what we’re talking about. The resolve to lose weight, get more organized, exercise more, get on a regular sleep schedule and so on. All those self improvement resolutions. How’s that been working out for you? Not so well you say. 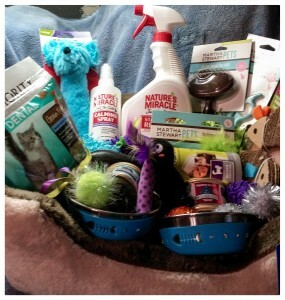 Maybe it’s time to incorporate your pets’ needs into your New Year’s resolutions for a new twist. 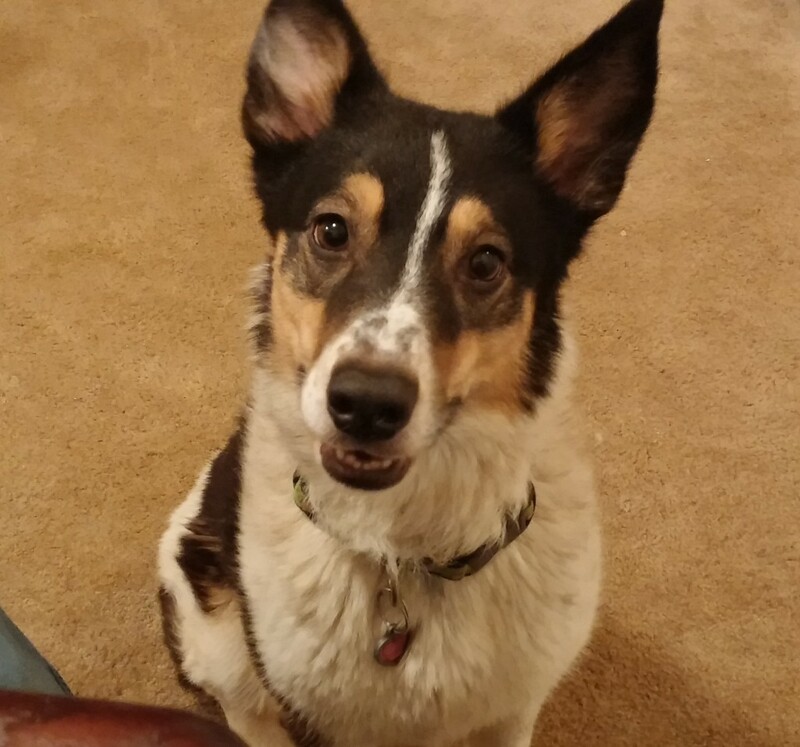 Here are our top 10 New Year’s resolutions for pet parents. Walk with your dog every day. Play games with your cat. 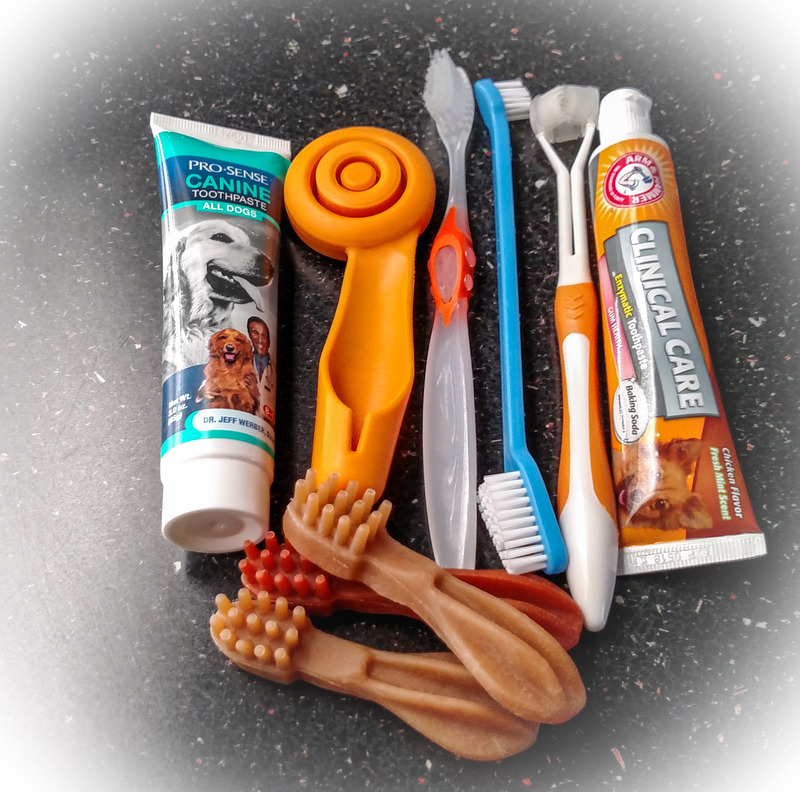 Brush your teeth twice a day…..and brush Fido and Fluffy’s’s teeth once a day. 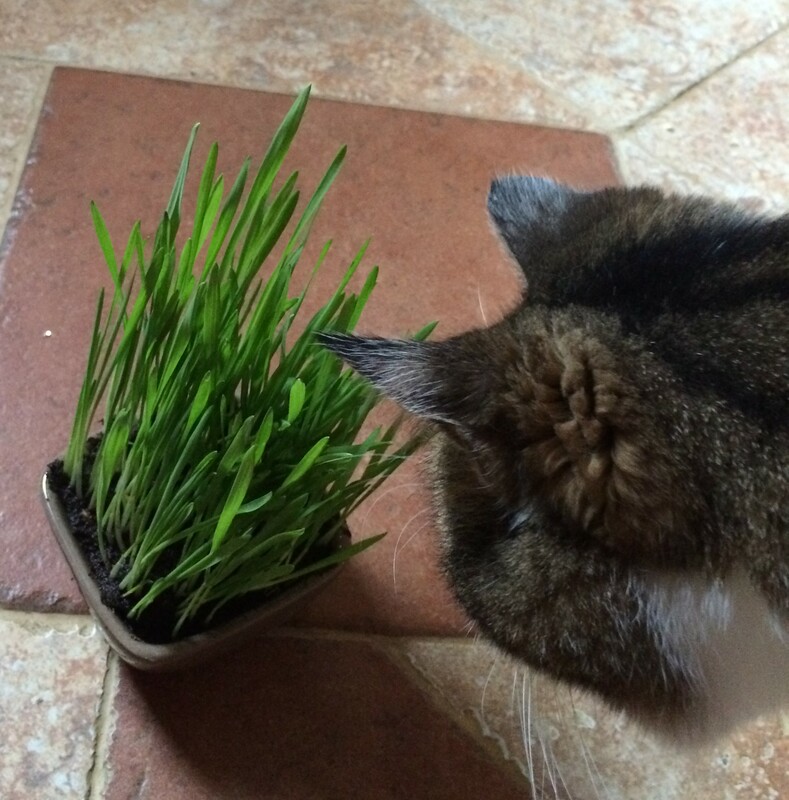 Measure your food…..and measure your pets’ portions too. Play with your dog and cat every day. Go to bed at a similar time every night and get up at a similar time every morning. Your dog will happily serve as your lights out monitor every night and alarm clock every morning. Keep Spot’s brain active with training a few minutes every day. 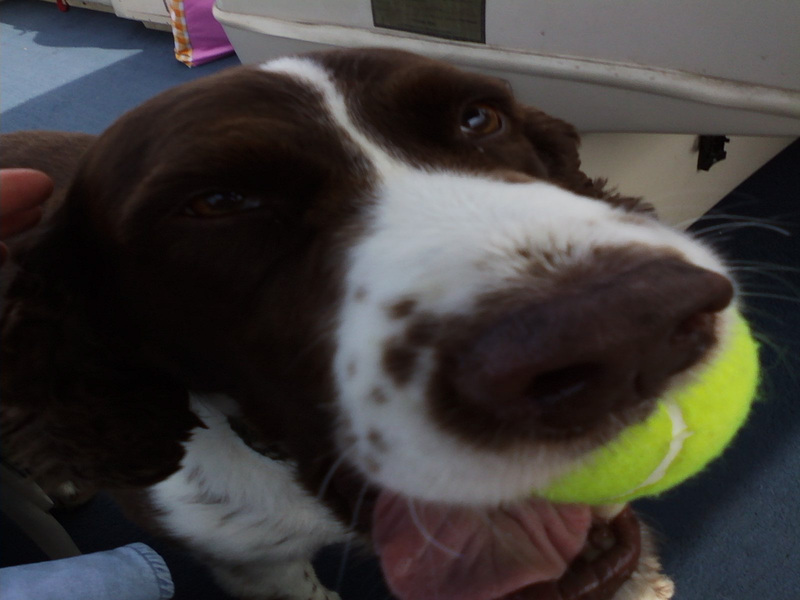 Keep your own brain active by learning how to positively train your cat and dog. Practice relaxation habits while brushing your pets’ coats every day. Disengage from electronics for at least one hour every evening. That’s a great time to walk with your dog, train your cat or brush their coat or teeth. A place for everything and everything in its place. 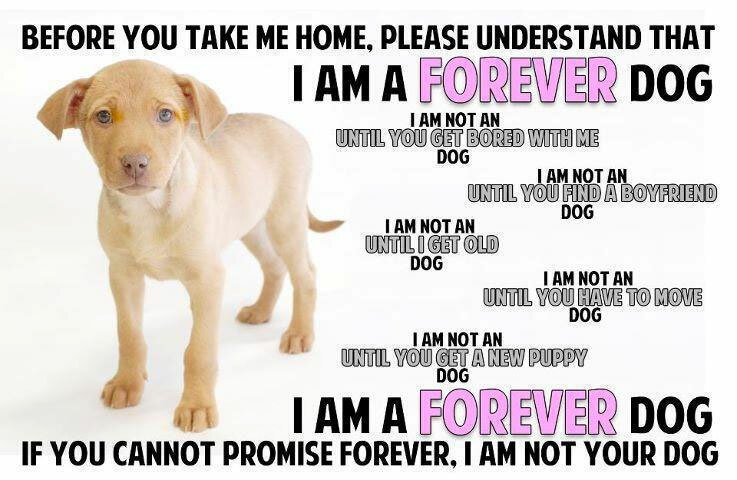 That applies to your “stuff” as well as your pets’ blankets, toys, food bowls and beds. Heck, maybe you can train your dog to put his toys in the toy basket every evening. Laugh every day at the antics of your pets. 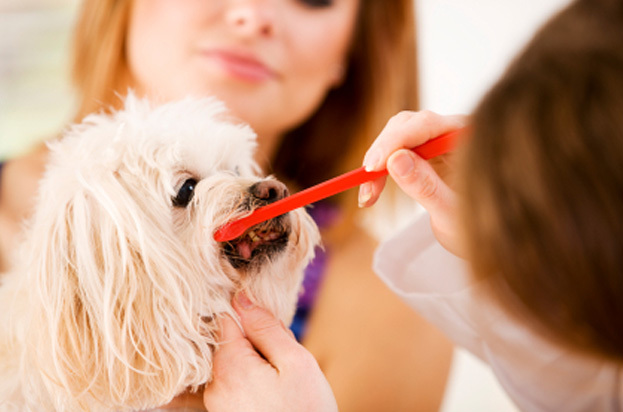 It does take practice and patience to introduce teeth brushing, but you will be rewarded with a healthier pet. Never use human toothpaste, instead purchase toothpaste made for cats and dogs. There are substances in human toothpaste that are harmful to pets if swallowed and our pets don’t know to spit out the toothpaste. 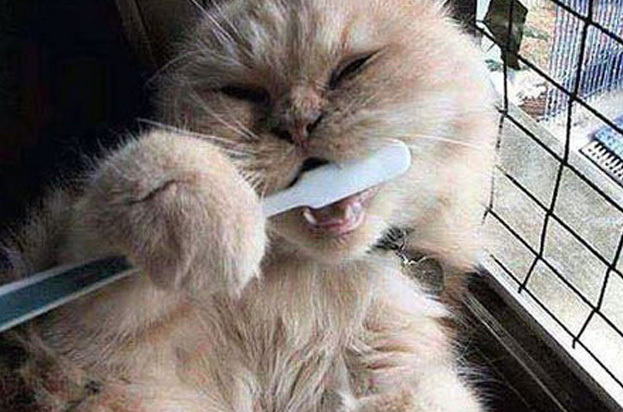 When introducing teeth brushing to your pet, start slow. Put some pet toothpaste on your finger and allow your pet to lick it off. The next day put some pet toothpaste on a piece of gauze or pet toothbrush and allow your pet to lick the toothpaste. 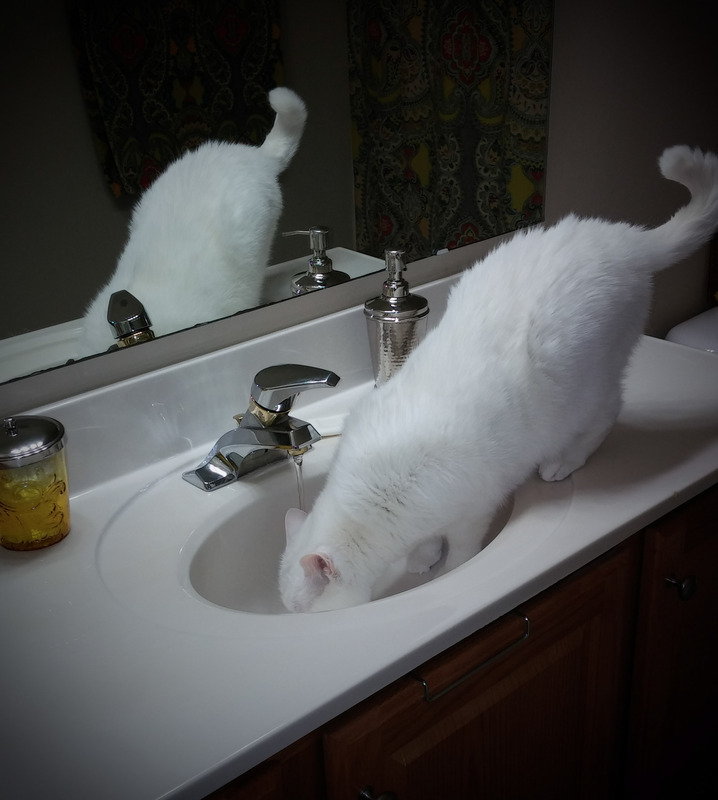 Continue with this until your pet appears eager to get a taste of toothpaste. Then you can introduce placing the toothbrush with toothpaste on the outside of your pet’s teeth. Be sure to go at a pace that is comfortable for your pet. Be sure to laugh every day. 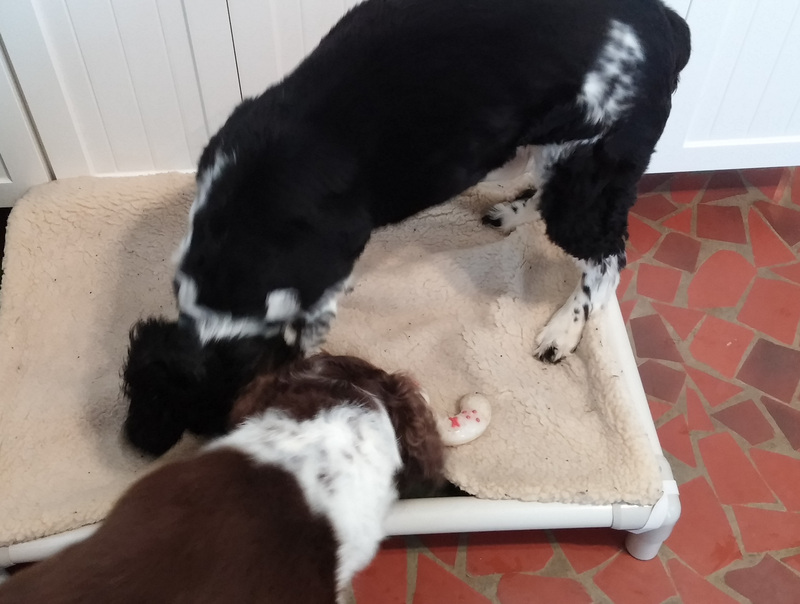 We never tire of watching Luke, Daisy Mae and Trooper’s antics. 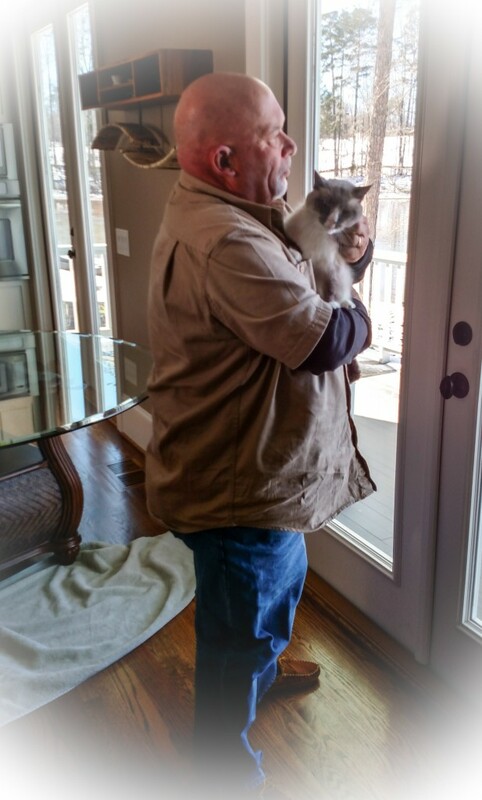 We are especially blessed to be able to take care of lots of pets in our pet sitting business and have lots of opportunities for laughter in our daily work. It’s a Delicate Subject…but….we all need to pick up the dog poop. …we all need to pick up the dog poop. Not only is it disgusting to step in, but it’s unsanitary. Do you really want your dogs to carry waste back inside your house on their paws? Do you really want to carry it inside on the soles of your shoes? What about your children and their hand to mouth habit? Do you know that dog poop frequently contains E. coli, tapeworms, roundworms, giardia, parvo, salmonella, hookworms and a host of other horrors? YUCK!! That’s why …we all need to pick up the dog poop. Then there is the matter of pollution of our waterways. 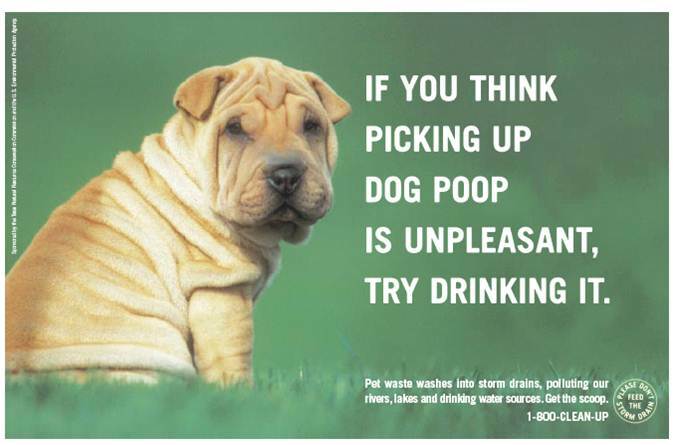 Dog waste left in your yard, at the local park or on the trails at Lake Norman State Park will make its way into the water. 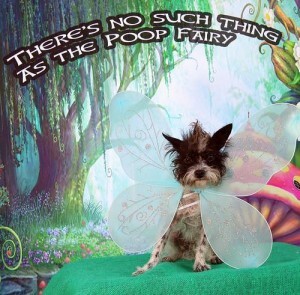 According to the EPA the decaying of your pets’ poop creates nutrients that weeds and algae thrive on. 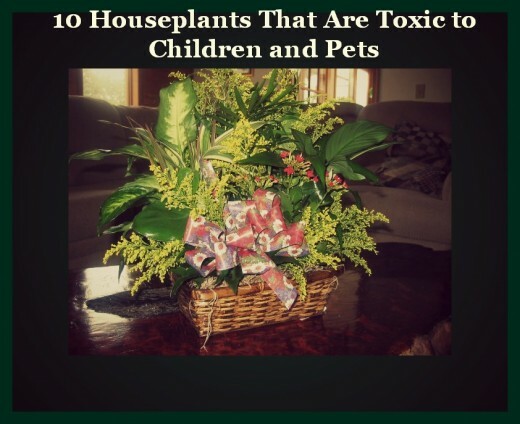 These unwanted plants choke out the oxygen and do harm to the fish. It is really pretty simple to use a scoop in your own yard or doggie waste bags on your walk. 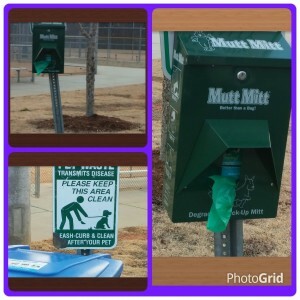 The unused waste pick up bags can be tied on your dog’s leash, or carried in your waist pack. You can carry a small bottle of hand sanitizer in your pocket too. Simply stop when the dog goes potty, pick up the waste with the plastic bag over your hand and turn the bag inside out and tie it shut. Deposit in the nearest public trash can. I prefer the scented waste bags because dog poop really stinks, but the important thing is that you always carry pick up bags when you take your dog anywhere and that you regularly pick up your own yard (preferably every 24 hours). By the way, dog poop is not a good fertilizer for your yard so please don’t scatter it with your lawn mower. If you are not physically able to pick up the poop from your yard there are companies who provide this service. Please get that scooping going!! 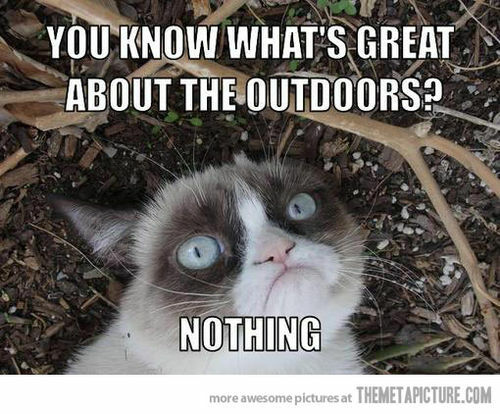 Are you ready to bring your outdoor cat inside to live? Great because outdoor cats, on average, live to age 5 while indoor cats may live into their late teens or early twenties. While you may not be able to transition a feral or barn cat, most cats can successfully make the adjustments. It will take patience and time but can be successfully done. 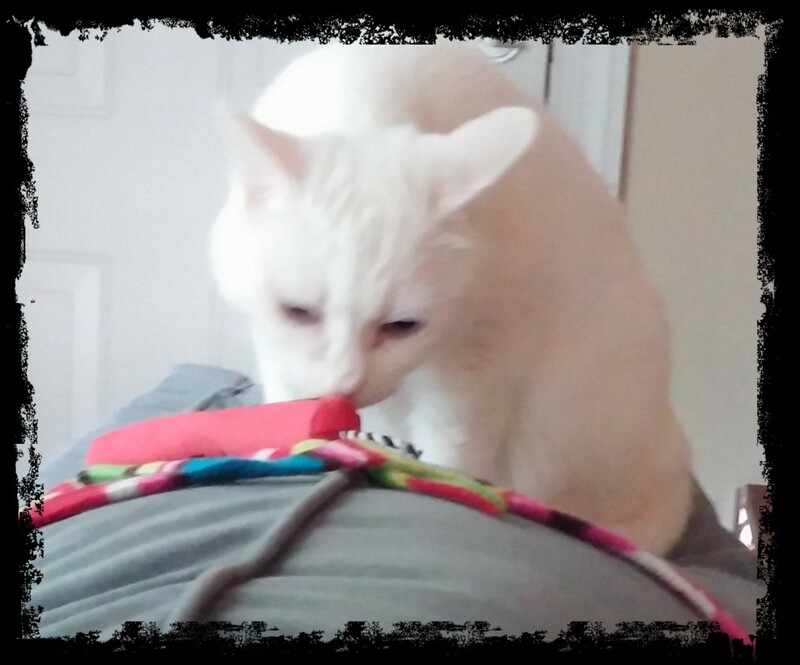 Be sure to provide scratching posts and pads for your kitty. To attract the kitty to the scratching post you may want to sprinkle some fresh catnip on it. 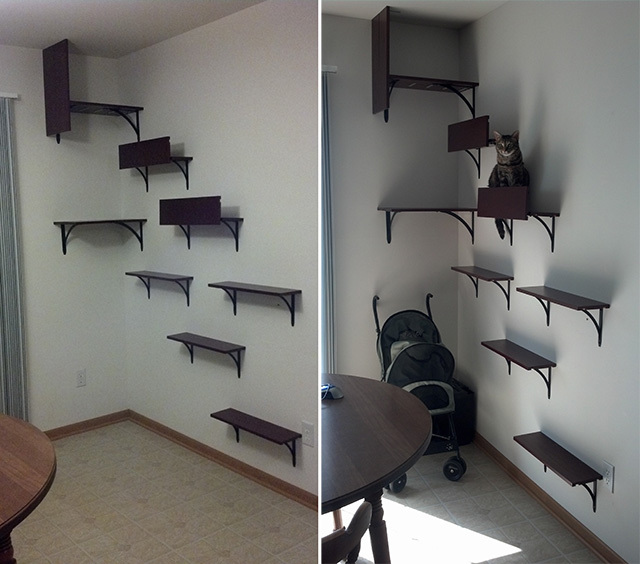 Cat furniture that is sturdy and stable and has vertical and horizontal angles will be most appealing. Be sure your kitty has some perches where she can survey the outdoors. Locate her litter boxes away from her food and water bowls because cats are known for not wanting to eat in or near their own bathroom. 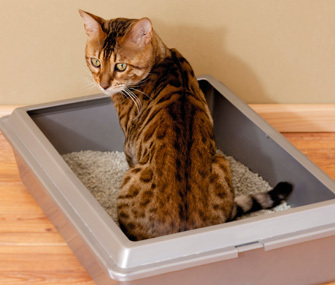 You need a litter box on every floor of your house the cat has access to and at least one more litter box than the number of cats you have. 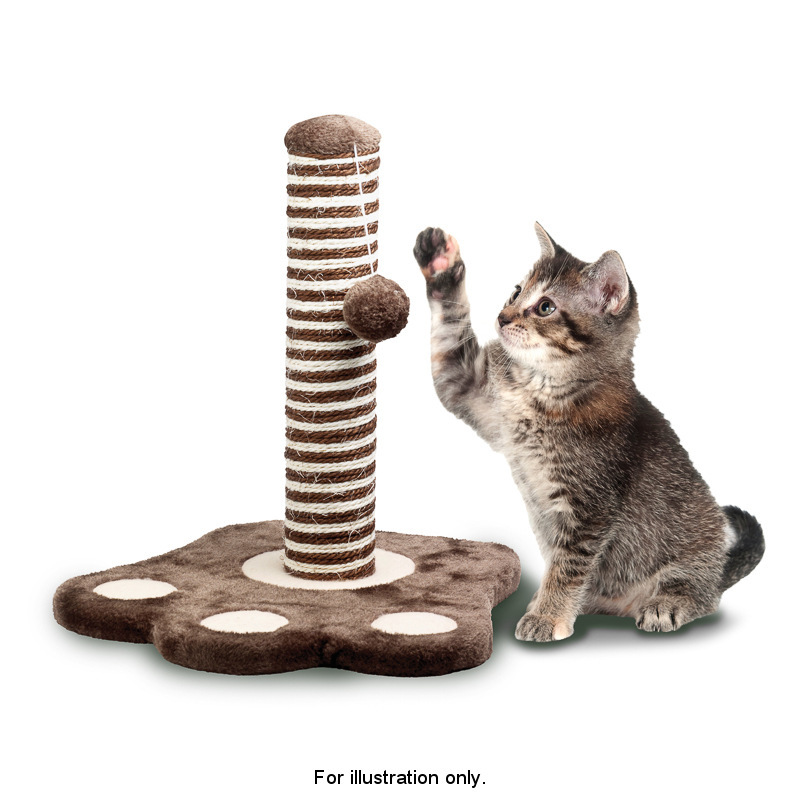 Cats love to play no matter their age so provide safe and fun toys. Furry little mice toys and ping pong balls are great options. Avoid string though because it’s a choking hazard. 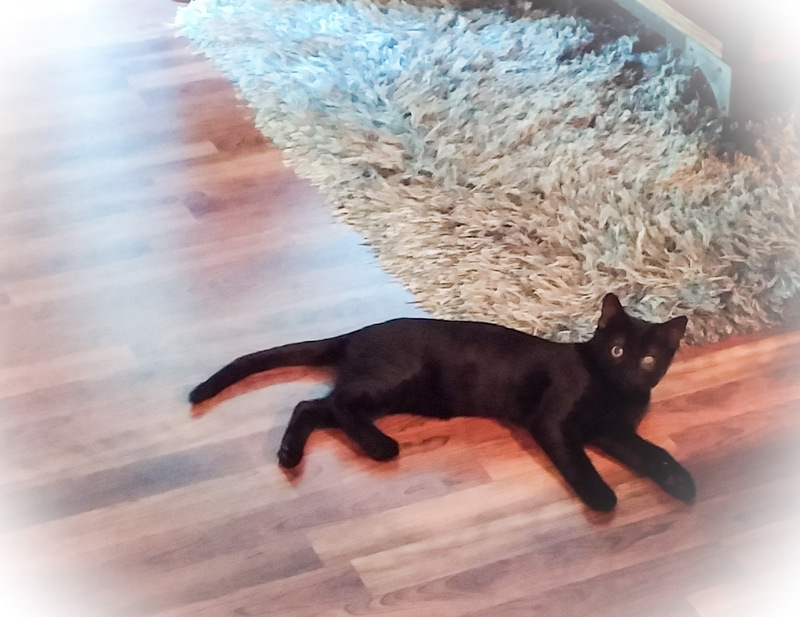 When you are available to play with the kitty use laser pointers or feathers on a wand to engage your cat. Be sure to put out some paper bags or boxes because most cats love them. 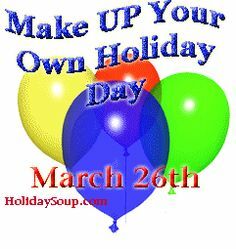 And be prepared to share your sink. 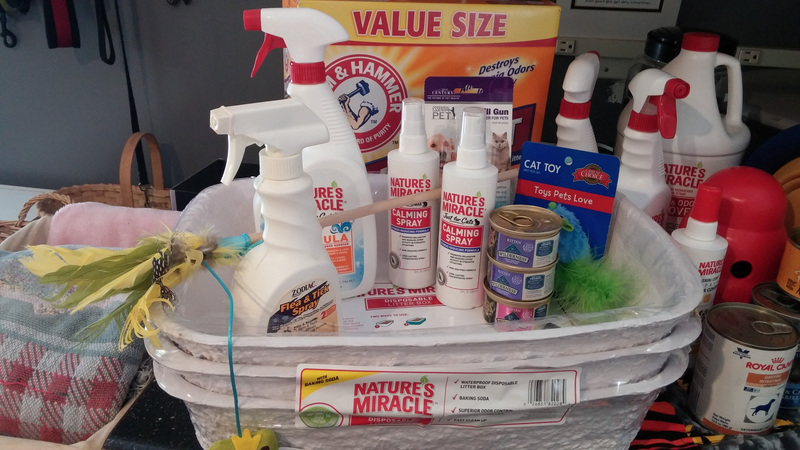 or Indoor Pet Initiative of the College of Veterinary Medicine at Ohio State University. Who doesn’t love feeding their dogs treats? Blend all together and spoon into ice-cube trays (who remembers those?!?) or Dixie cups or egg cartons. Freeze until solid. 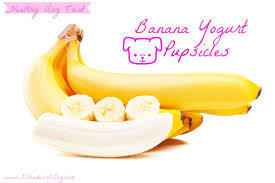 Serve individually to your pups. 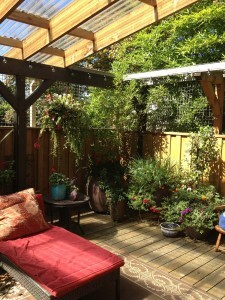 For those remaining hot days of summer plan on serving these out-of-doors (they are messy) for your pups to enjoy. 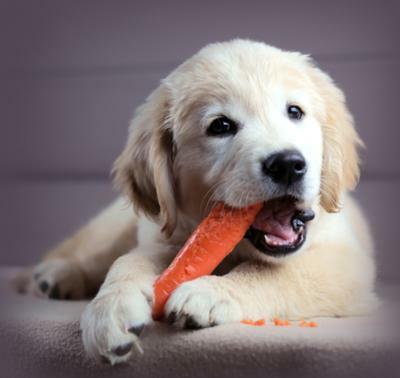 Your dogs may enjoy small bites of watermelon, berries, carrots, apples or cheese. 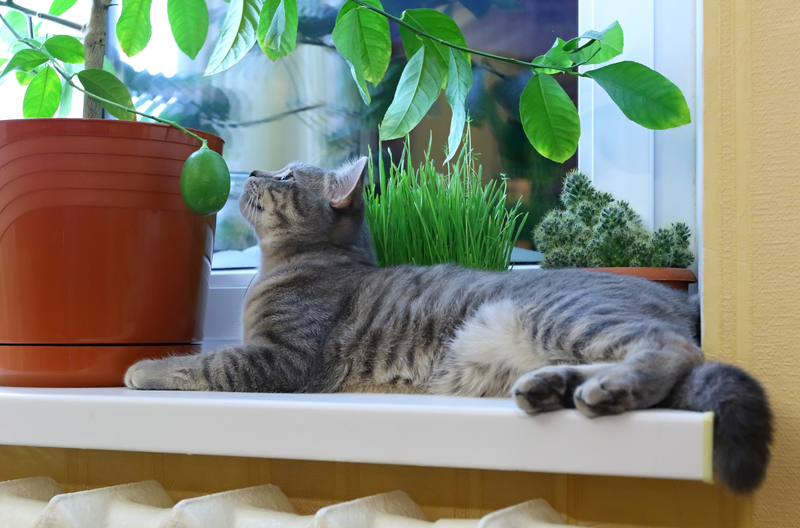 Your cats might like zucchini, cantaloupe or leafy green veggies. Is it my turn yet Mommy? 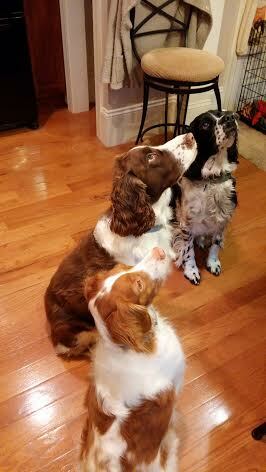 Our three dogs sit at attention politely waiting on a spoonful of plain fat-free Greek yogurt or cottage cheese. Just remember that portion size matters and calories do count. Think 1/8 inch square for a cat or small dog and 1/4 inch square for a larger dog. August is steaming hot. 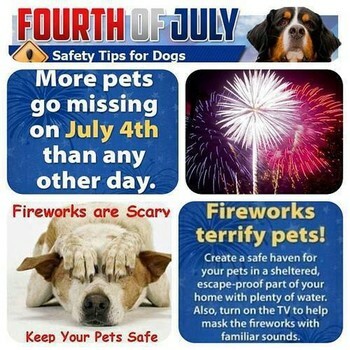 Let’s celebrate the special pet days and weeks in August for a little relief. 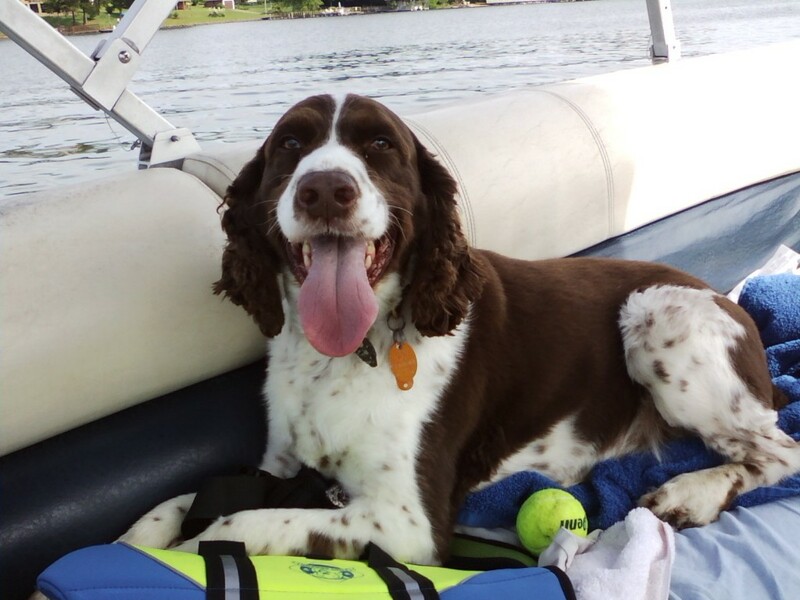 We’ve all experienced the dog days of summer. We have no idea where the term came from. 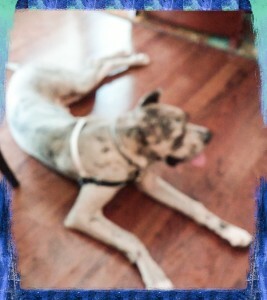 Maybe it was because the heat and humidity makes us feel dog tired. At any rate, we believe every day with our pets is special, but here are more reasons to celebrate those special pet days and weeks in August. While you are at it, be sure to make some cooling pupsickles for your pets. This a great time to be sure our pets’ shots are up to date and to consult the the veterinarian about titers. Assistance dogs provide a necessary service for children in schools, wounded warriors and folks with hearing or vision impairments. Without these highly trained dogs, the lives of many people would be barren and bleak. Micro chipping our pets is a great way to improve the chances of a lost or stolen dog being returned home. That helps to reduce the likelihood of more homeless animals. Cats are not known for liking to travel. Consider leaving your cat’s carrier out so she can go in and out of it at will. that will make her trips to the vet a lot less traumatic. You may also want to consider using a vet office that has separate entrances for cats and dogs or seeking the services of a mobile vet. 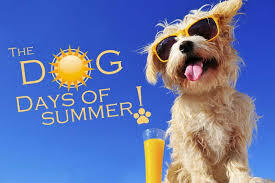 So, let’s enjoy the dog days of summer.